There’s no other curbside collection cart that’s built to last quite like a Toter. Our carts are manufactured with a patented stress-free Advanced Rotational Molding™ process that provides superior product durability for years and years of service. 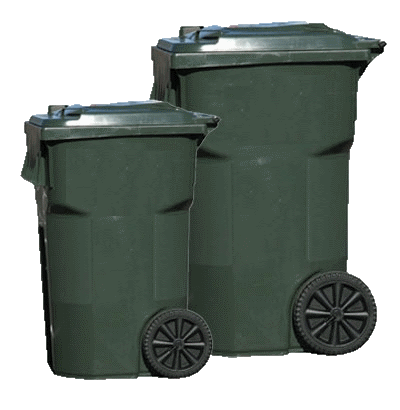 Toter carts are extremely flexible and impact-resistant, and easily handle the day-to-day abuse of curbside waste collection. With patented Rugged Rim ® technology, additional materials in critical wear areas such as the rim and saddle, and a reinforced bottom wear stripe, Toter carts are extremely tough in the areas that take the most abuse. In comparison, our competitors manufacture carts with an injection-molded process that results in high residual stress and brittle plastics that crack and break prematurely. Toter carts are virtually maintenance free, and with a 0.2% warranty claim rate – the industry’s lowest – only Toter offers a 15 to 20 year active service life (almost twice the life of the nearest competitor), and the lowest lifecycle cost available.